Witnessing the Northern Lights was a bucket list item that I wanted to check off. Once I stepped away from my camera and jumped on the back of a snowmobile, I got to see them in a way that I'll never forget. We cross the Arctic Circle around 6:45 a.m. on a clear and chilly late February morning. The crew and guests on Norway’s famed Hurtigruten, a cruise ship and working ferry, snap selfies in front of the tiny island that marks our ship’s crossing into some of the most forbidding waters in the world. But my fellow passengers and I let out a cheer because, despite several days of charming coastal towns and beautiful fjords, we’ve finally arrived at the true beginning of our journey: the search for the Northern Lights. 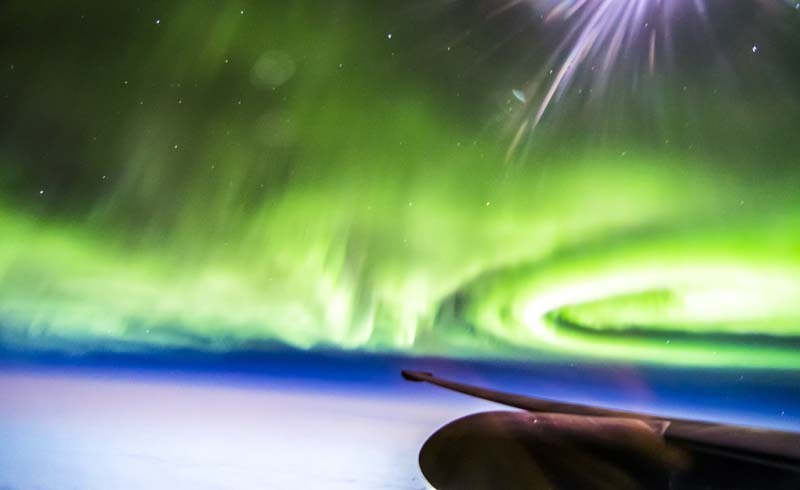 I’m neither a fan of cold weather nor extreme northern climates, so there’s only one thing that could lure me onto a ship in winter in the coldest spot in Europe: a chance to witness the Aurora Borealis. Seeing the ghostly lights dance in the northern skies has always sounded like a life-altering experience to me. Witnessing the charged ions cascade across the sky, I reasoned, would be a spiritual experience—a once-in-a-lifetime moment worth the biting frost that we experienced as the ship moved higher up the Norwegian coast to catch a glimpse. The day that you cross the circle is when the hunt for the lights officially begins—but not until it’s fully dark. I drift off to sleep around midnight, thinking I’ll need some rest before the lights appear in the twilight hours. But someone knocks on my door only 20 minutes later. They’re here! In preparation for my midnight sojourn, I’d already taken my gear out of my duffel and briefcase: long johns, double wool socks, sweater, snow pants, down coat, boots, neck warmer, and two hats. I’m also toting a brand new DLSR camera, a tripod, a fleece wrap to keep the camera warm, extra batteries (sub-degree temperatures kill battery strength faster than you can say “borealis”), and two sets of gloves with sensory touch fingers to work the camera—all within my Tarmac Weekend Bag. I rush out the door into the frigid night, like some sort of Aurora-seeking firefighter. It’s 1:00 a.m. on deck and the lights appear as soft puffs of silver air flitting around the sky. They’re faint, but they’re there, and as far as I’m concerned, the race is on to get my shots before the lights disappear. I’m surrounded by mega cameras with lenses the length of an Arctic salmon, set up on tripods as tall as my shoulder. Everyone has an eye glued to a lens. I’m trying to get my eye glued to my camera lens. But getting the aperture and speed correct for a shimmering ionic reflection in pitch-black skies requires an attention to both math and physics that I’m missing after my midnight nap. Someone on deck helps me focus, but then I can’t get the tripod to work. I run inside to warm my fingers. Back again, I give up on the tripod and use a bath towel to steady the camera on the rail. Eventually, I get my photos. But I can’t say that I experienced the lights the way I always thought I would. There was no mysticism or mystery, just some smudgy photos to carry home with me. Luckily, my story doesn’t end there. Two nights later, I’m in frigid Lapland, near the northernmost tip of Norway, with the chance to ride a snowmobile into the winter night. I decide to let someone else drive, and hang onto the back in what surely is the darkest, coldest, evening of my life. The wind stings and slices through every inch of my body; although I’ve zipped an insulated snowsuit over my clothes, including a down coat, I’m numb. My ears are stinging and my eyes are watering so much that I fear that my contacts have frozen to my corneas. I had left all my excess gear behind so I wouldn’t have to worry about it. As we zip into the black night, I see nothing but the patch of snow in front of me, illuminated by the taillights of the snowmobile we're following. And my hands, despite wool liners and insulated mittens, are too cold to hold anything anyway. We stop. Someone signals to turn off all the lights. And there they are. 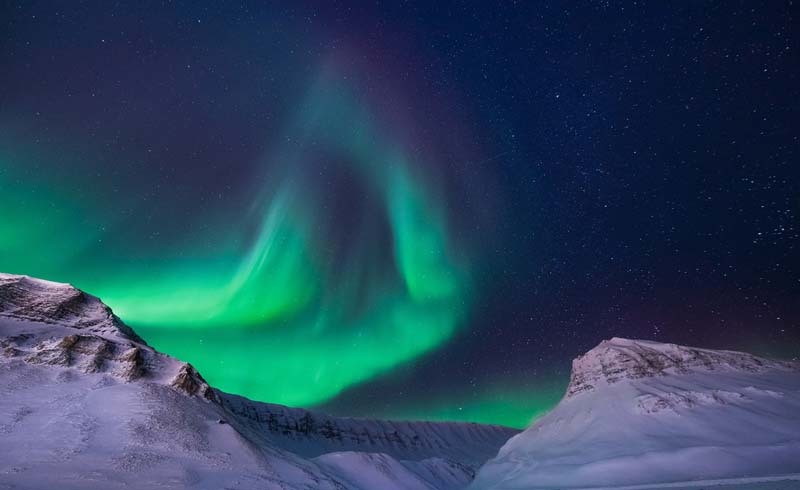 The sky seems to bend in front of me—the stars form an otherworldly glowing rainbow, and the only other light at what feels like the end of the Earth is the truly spectacular Aurora Borealis. The shimmering lights dance! They helix in double bows! They stretch across the sky and loop back again, like a Double Dutch contest. It is the most fantastic sight I have ever seen. It’s not chartreuse, like in photos, but more of a green-hued, glowing silver, like illuminated sand thrown across the sky or an ethereal lava lamp flowing across the heavens. Looking back, I know I have this many words to describe it because I don’t have photos to show you. And I’m fine with that. In that moment, I just sat and watched. I was present for every second of the show. Because I didn’t have my camera, I didn’t have anything to look down at. I had nothing to fiddle with and nothing to distract me from one of the most magical moments of my life. That second time, they truly were the Northern Lights of my bucket list. While trying to capture the lights on camera, I missed the experience of witnessing them, and of feeling what it’s like to see one of the mysteries of the universe play out in real time. I traveled to one of the most remote spots in the world for this, and almost missed it. It was a true travel wake-up call. For the best viewing of the Northern Lights, travel during the longest days of winter, roughly from December 21st through March 21st. The further north you head, and the further away that you get from city lights and pollution, the greater your chances of spotting them. Hurtigruten’s ships travel from the scenic fishing village of Bergen all the way up the coast to northernmost Norway, ending six days later in Kirkenes, at the Russian border. Because the ship is also a working ferry, you can choose to hop on it for only the Arctic Circle crossing and northern climbs if you prefer. Be sure to bring lots of Pack-It organizers in your suitcase so you can squeeze more winter clothing and gear into your suitcase. Compression sacs are also handy for making puffy jackets and vests take up less space while traveling. Have you put away your camera for a major travel experience? Talk about it in the comments!